Where did you guys have your Valentine’s day dinner, my dear readers and fellows? Really hope everyone had nice and enjoyable dinning experience on this romantic day with your special ones. 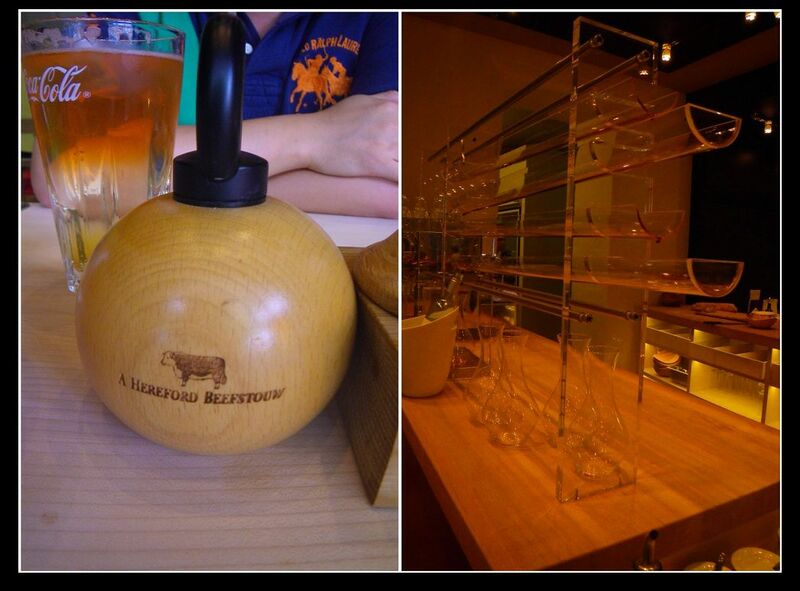 I had my dinner in the “new” Danish restaurant, A Hereford Beefstouw, on Hutt street. It was opened September last year and is the only one in Australia. While belonging to a restaurant chain, the Hutt street beef lounge has its own distinctive character, ie. their dry aged beef. Their Hereford dry aged beef is sourced from their own property near Lucindale. The farm, a joint venture of Danish restaurateur Lars Damgaard and winemakers Tim and Sarah Burvill, was aimed to provide top quality Aussie meat to the chain. 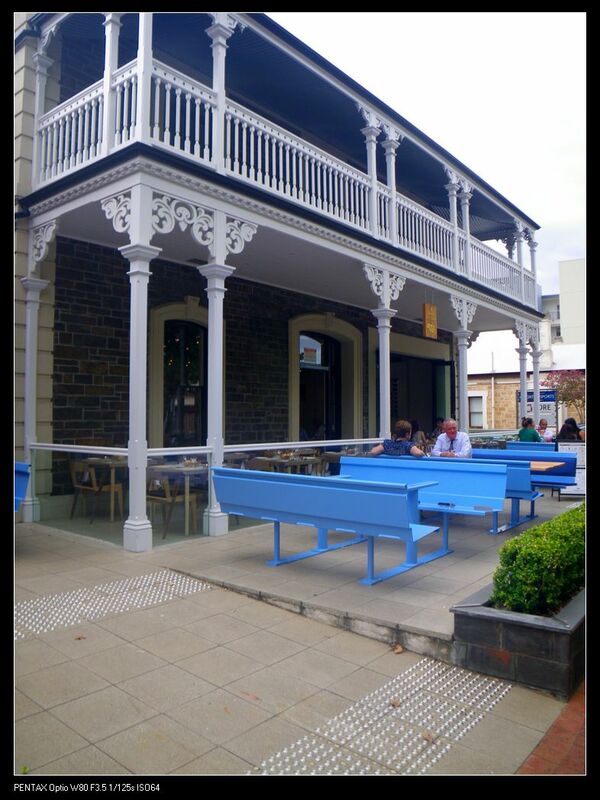 The restaurant is located on Hutt Street, in the former Christian Women’s Temperance building. The decor is the same as every other 20 Beefstouw in Denmark and around the work. It’s not only sleek and modern but also provides some exotic Danish concept.When opened 40 years ago in Denmark, the owner aimed to create a steakhouse that is high end with premium quality meat. So, as they stated on their website, it’s NOT a ordinary family steakhouse. However, what I found was that their prices were reasonable considering the serving size and were surely not overpriced. 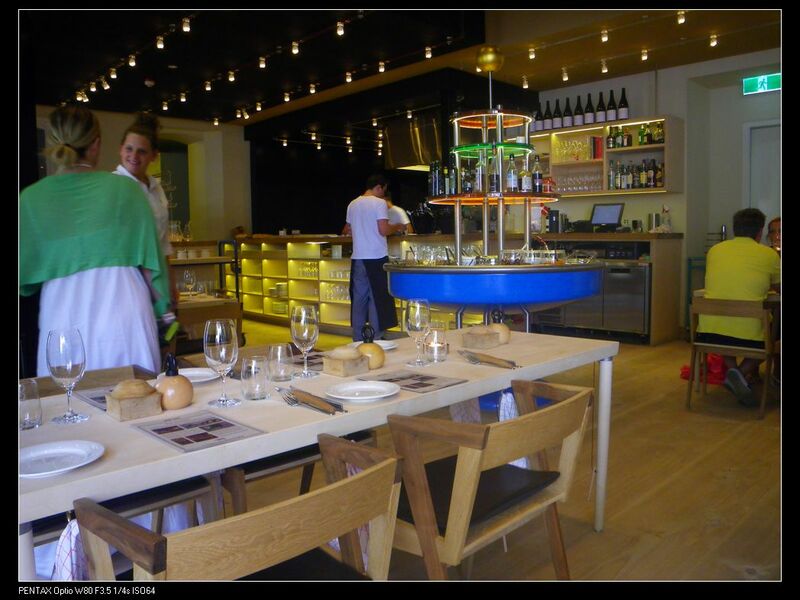 Once entering the restaurant, we were immediately welcomed by a waitress as well as the salad bar. Surely, I should admit their salad bar was very old school, but it provides some choices for ppl. I am indeed not interested in this concept and we did not have salads for the night. Can you see the round shaped container? It’s pepper! It only figured it out after finding the salt. 😛 The ordering system is efficient in this restaurant so that the chef know how each customer want their meat to be cooked. This, in my opinion, eliminates the possible arguments caused by under- and overcooked steaks. The red wine decanting apparatus on the right is funky and wines can get enough air. However, just curious how they managed not to infuse one wine’s flavour into another through the process. My regular lemon lime bitter ($5) and complimentary bread. Sorry, but I have to say something about the butter. The bread was not too bad although the center was pretty hard too. The butter, however, was frozen hard and this made it very hard to spread. My wife’s butter is as hard as mine. Maybe I just got the bad bunch :(? Gravad Lax Salmon ($15). 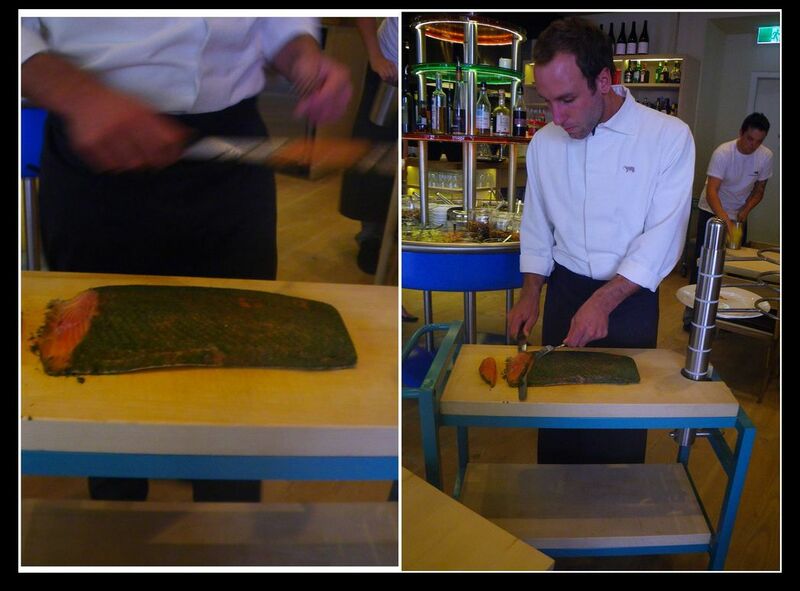 The salmon is carved at the table. This is not your everyday smoked salmon, folks. It is salmon cured with salt and sugar. The outside green layer is dried parsley. The taste of the dish was wonderful. You can get the fresh seafood taste as well as a refreshing fruity flavour. 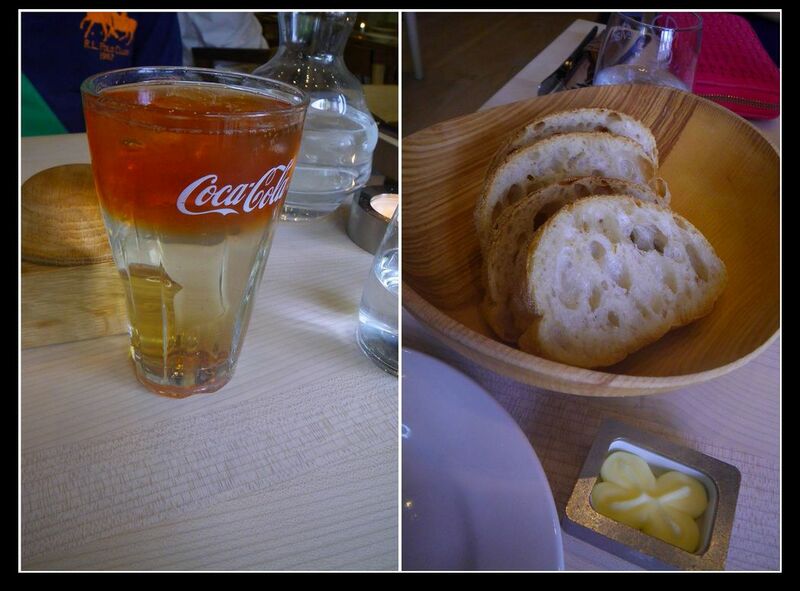 The dish was complimented with sweet mustard sauce and a bread. The sweet mustard sauce was really an add-on bonus for the dish by providing a fantastic mango fruit sensation. Now I am going to tell you a secret for this dish. This dish qualifies for complimentary refill! I didn’t know this until the waiter came to me and asked “Do you want more salmon sir?” “Ehh, why not? 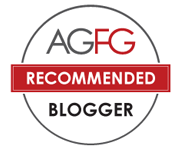 !” I had a refill and fell in love completely with the quality of the salmon. Basically you can refill as much as you like but I think one refill was enough to satisfy one’s hungry belly. 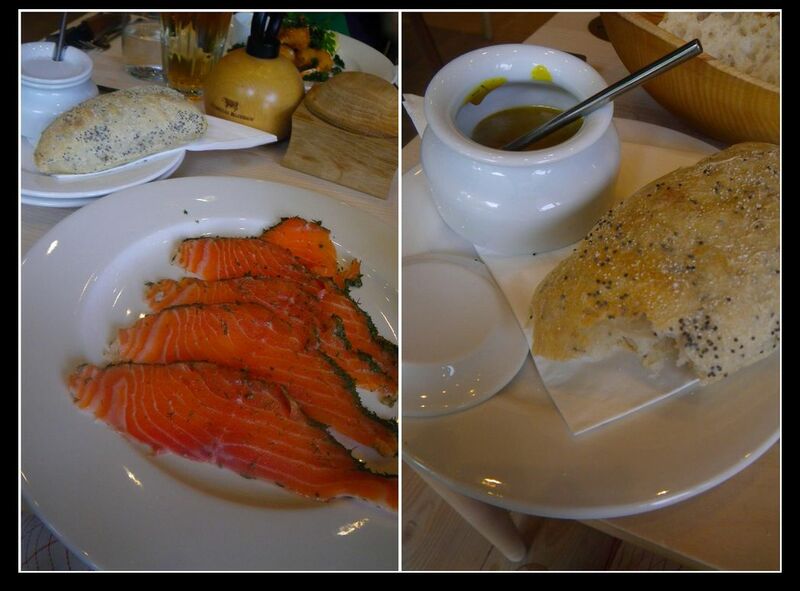 So, be sure to enjoy some high standard luxury salmon when you dine @ this place. My wife’s entree was scampi fritti ($15). Scampi? Are you thinking of the real little creature named scampi? I thought the same when I saw the menu. I asked the waiter and he said they used real scampi. However, I doubt it. Let’s take a look at the tail of the shellfish. The tail and shell for scampi look completely different. I had scampi in other restaurants before and they tasted sweeter. In fact, in Italy, scampi is a plural for the word scampo, which means prawn. So, I know now, scampi fritti = prawn fritti = deep fried prawn, but this dish tasted good. Fresh succulent prawn meats were used in this dish with tartar sauced on the side. 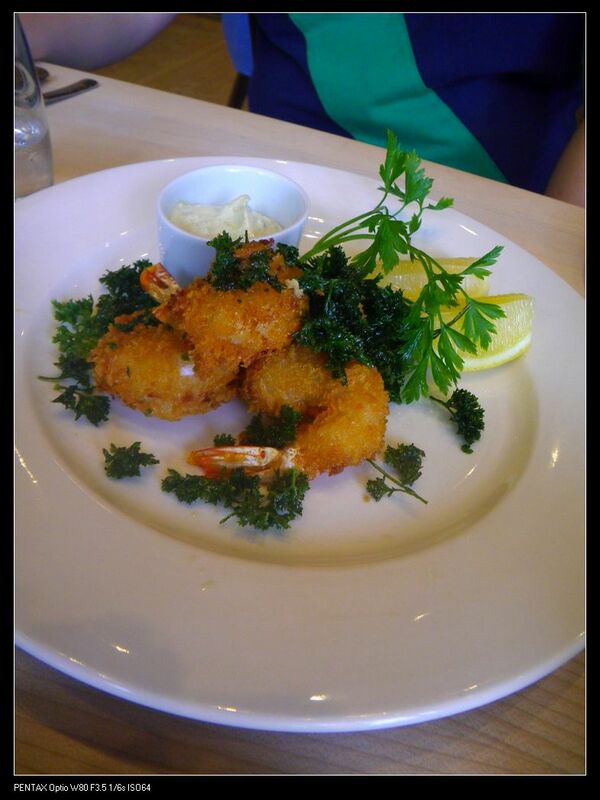 The prawns were fried to perfection with crispy coating outside while maintaining the juices inside. The other thing I like the dish was the deep fried parsley, which was sooooooooooooooooooooooooooo crispy that it melt very quickly in my mouth. For our main, we ordered the Hereford Dry aged Cote De Boeuf 700g($69). As coming to a Danish beef lounge, I thought we would order something special to this restaurant. Yes, the hereford beef. As their specialty beef, the steaks were from Hereford cattle, a bred originated from Herefordshire in UK. 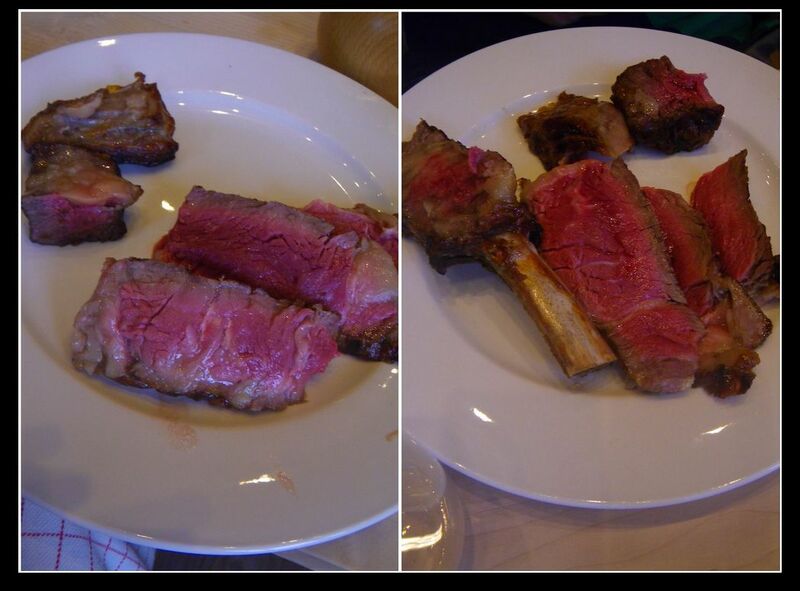 They have been dry aged on the bone for 45 days to develop further flavour of the beef. We ordered the beef to be medium rare and although it came out a bit rare, the beef tasted tender and moist with strong beefy aromas. The fat were chewy and the carving were carried out at the table. Did you see the two triangle pieces on the left picture? This is a good indication that the chef knew what he was doing. However, having said all the good things about the dish, the steak, although tasted good, did not give a ‘wow’ or ‘surprisingly amazing’ feeling. 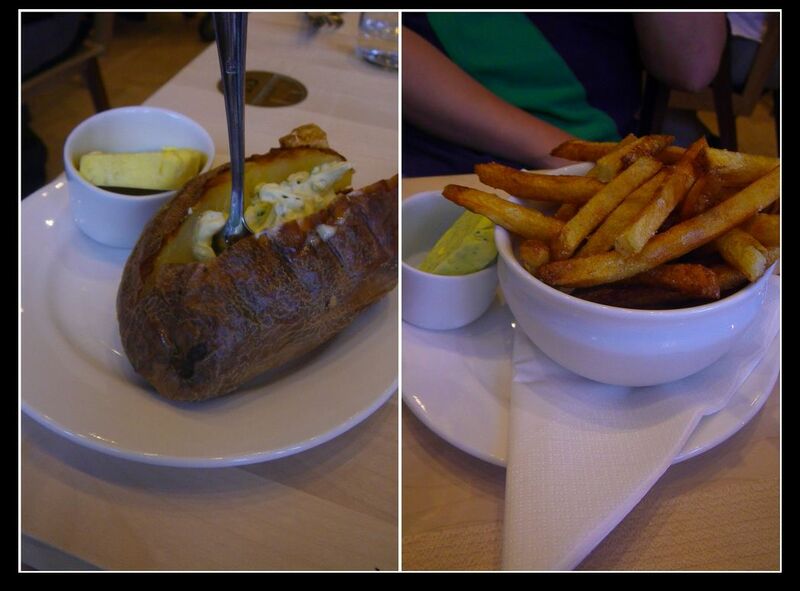 The sides were ‘roast potato with sour cream and chives’ & ‘French fries’ as well as a garlic and a parsley butter. The butters were used to spread on top of the steak to give a melting sizzle. Although the roast potato was not bad, the beer battered French fries were below average and were a bit soggy as well. Now, after saying all the good things about this restaurant, I want to suggest an improvement on their service. When we were greeted by our waitress at 6pm, the restaurant was pretty empty and my wife asked whether we can sit outside cos the inside was a bit squeezed on the night. The waitress refused us three times by saying “no, it’s all booked out.” Okay, we accept that. However, around 7pm, when the two fully dressed-up diners, seating a table away from us, criticised the restaurant being tight, the waitress immediately took them outside to the seat where we asked for. What’s going on here?!!! Wasn’t ALL SEATS BOOKED AND RESERVED? The overall experience at this restaurant was nice with reasonable priced entrees and mains. However, they need to work a little more on their services. The meat, while being beautifully cooked with good texture and great tenderness, did not give that ‘wow’ or amazing feeling. Many diners may think it’s overpriced. However, I do recommend this restaurant. By considering the food quality and quantity, the price was very reasonable. You seem to enjoy this restaurant a lot. I’ll have to take my “non-foodie” boyfriend out and try it. Did you guys try it? How did you go? What a lovely Valentine’s day! I am an South Aussie who lives in Denmark and I can tell you mate, this restaurant is very famous here! Keep up the good work! Thanks for visiting and I am glad you liked the post.